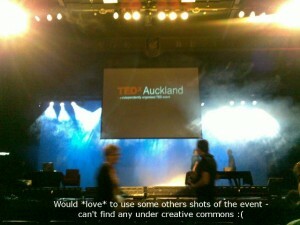 This was an excellent session and an excellent start to TEDx Auckland. I’ve already referred back to this session several times. Well written up. .-= Simon Gianoutsos´s last blog ..Barcamp Auckland 3 Synopsis =-.